This administration continually finds new ways to astound us all. Between the Russia investigation, Trump’s public musings of pardoning himself and his family members, and a feud with the First Lady of Japan, it’s a race to the bottom in terms of absurdities coming from the White House. In a story that sounds like a headline from The Onion, Sean Spicer, who just resigned as Press Secretary, reportedly stole a mini-fridge from a junior staff’s office. Sean Spicer, a grown adult man who presumably can afford his own mini-fridge, boosted it instead after the staff left their office for the night. A million gifs of a very confused Steve Harvey comes close to capturing our feelings. Who even does this? 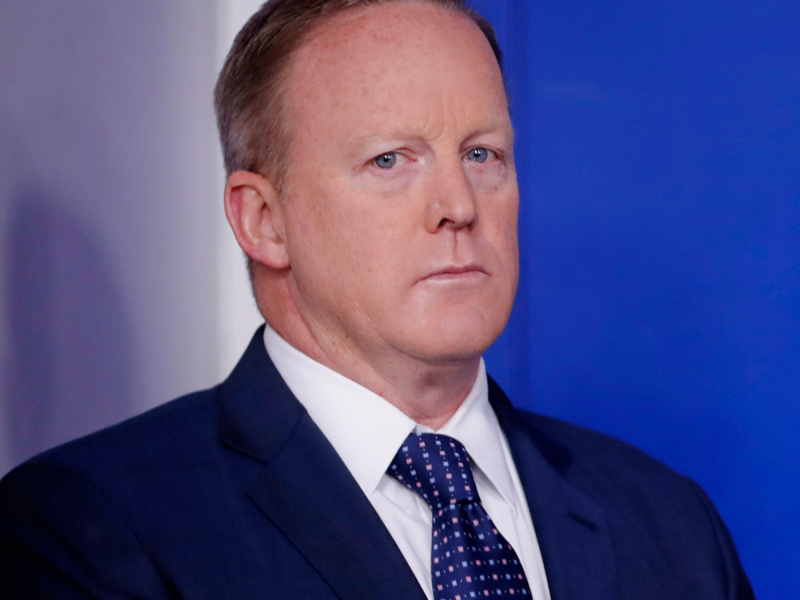 According to the Wall Street Journal, Spicer was irritated that he didn’t have a mini-fridge in his own office. In a stunning display of zero chill, “[Spicer] dispatched a top aide to a nearby executive office building where junior research employees are crammed into a room, surviving on Lean Cuisine frozen lunches. Mr. Spicer wants your icebox, the aide said, according to people familiar with the incident. They refused to give it up. So Mr. Spicer waited until sundown—after his young staffers had left—to take matters into his own hands. He was spotted by a fellow White House official lugging the icebox down the White House driveway after 8 p.m.” Are you now visualizing Sean Spicer hauling a mini-fridge up the White House driveway? Did he lurk behind the bushes again? Because that mental image is just the most. Twitter, predictably, immediately seized on the sheer ridiculousness of this story. And now, the most important question remains: since he resigned, did the junior staffers get their fridge back? I’m most impressed with/puzzled by the jr research staffers who stood their ground in the face of a direct order from the press secretary.